Lady Catherine is destined for great things – or she will be if her ambitious mother has her say. As a favourite of the unmarried King of Hearts, Catherine’s future as Queen seems determined. Unfortunately, Catherine has very different ambitions. A curious mishmash of Alice’s Adventures in Wonderland and Edgar Allen Poe poems this was an intriguing tale. 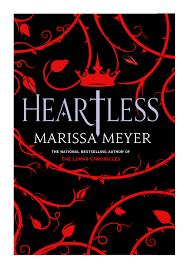 From the outset we are plunged into a world of magic and mayhem, learning all about the life of the infamous Red Queen before she takes on her title. There’s no doubt that when the story focused on the characters and events that we would expect to see in Lewis Carroll it was a riot. However, a substantial part of the story was focused on the romance between Catherine and Jest, the King’s fool (who isn’t quite what we think). For me there was just a little too much focus on the romance – but, perhaps on another day I’d have have found this more appealing. A huge thank you to NetGalley for the advance reading copy, but I’m not entirely convinced that this will win new fans. It comes as little surprise to me that there are talks to turn this into a movie. Set against the background of an elite Manhattan school, we watch two girls – with plenty to hide – play a dangerous game, and it has all the characteristics of a tense film. Unfortunately, though I had the sense that this could have been a great book, it just didn’t do it for me. The story is told through a split narrative. Sadly this meant that I never felt I got to know either character well enough to really care about them or what happened to them. On one hand we have rich girl Olivia, used to getting everything she wants, and then we have scholarship girl Katie. Both girls have their secrets, which they will do pretty much anything to protect. So far, so familiar. During their senior year the girls meet Mark Redkin, a member of staff whom everyone seems to fall in love with. Superficially, he seems to be everything someone could want but it soon becomes clear that he is not quite what he wants everyone to think he is. From the first time we meet him, there are obvious signals that something pretty nasty is going to happen. 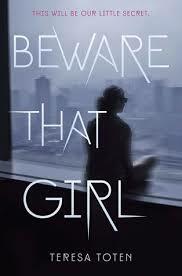 I found the setting and characterisation of this book largely responsible for my not really engaging with it. I don’t think that Kate, as a survivor of serious domestic abuse, would have been left in quite as isolated a position as she is, and Olivia is so clearly struggling with addiction and mental health issues that I’m amazed she was let into school without more careful monitoring. The role that abuse played in this story was uncomfortable. The constant flashbacks to Kate’s life didn’t help me understand her better and felt more than a little gratuitous. And as for Mark’s treatment of nearly everyone he encounters…call me naive but alarm bells would have been ringing way before he even stepped foot in the door. It was once we got towards the end of the novel that I got a glimpse of what this could have been. Having been somewhat disappointed with this, I think I have to just say that I didn’t click with the characters/story and yet I can see this gaining a lot of fans. An assured debut, which focuses on the friendship between Caddy, Rosie (who have been friends for years) and new girl, Suzanne. The impact of this novel didn’t really hit until quite late on in the story, by which time I was hooked. As Caddy turns sixteen she yearns to be more like her best friend, Rosie. Her ambition for the year is to have a ‘significant life event’ – she is determined to be more interesting and self-confident. What she doesn’t realise is just how much she does have going for her. Caddy’s insecurity plays a large part in the set-up of this story. When Rosie starts talking about the new girl she has befriended, Caddy is jealous and worries that she is about to lose her closest ally. In Suzanne she finds another new friend – someone who encourages her to become more outgoing and to do things that she would never have dreamed of doing. While this seems good, it does come at a cost. 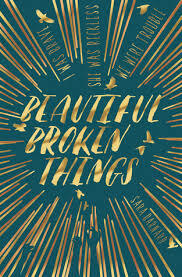 As the three girls spend more time together, we learn that Suzanne is – in many ways – broken. Having suffered abuse at the hands of her stepfather for years, Suzanne is on something of a downward spiral as she struggles to accept what has happened to her. For me, the fact that we watch these events through Caddy’s eyes makes the impact of the novel more apparent. There was a real sense of inevitability to what transpired, but nothing felt overly forced. I had to steel myself to read the closing chapters and feared the worst. While the subject matter will not be to everyone’s tastes, this was a story that really does raise questions. Having now finished this, I’m eagerly awaiting my copy of ‘A Quiet Kind of Thunder’. I was fortunate enough to receive an ARC of this from edelweiss and the publishers, but it languished on my iPad until the New Year as I was trying to catch up with some other reading. At least reading it now it is published means I can tell people about it and they don’t have to wait ages to get their hands on a copy. Lauren Oliver has been one of those writers that I’ve found excellent when she gets it right. Here, she is pretty close to doing that. Initially the ‘flip’ element of the story might seem like a gimmick. We are given two versions of the same event, though the differences in the narratives are just enough to not make it seem like we’re reading exactly the same story. 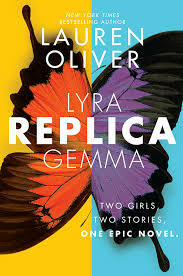 In Lyra and Gemma we have two intriguing narrators. Each girl gets to experience something new in this novel as they go on a journey of self-discovery with a difference. The key premise of the story focuses on the Haven institute, a mysterious place that is doing something with replicas (i.e. human clones) though nobody is entirely sure what. When the institute is blown up, Lyra and one of the male replicas escape. They meet Gemma and Jake, two teenagers who have more of a stake in this story than they realise. During our encounter with these teenagers we – as they do – learn more about what Haven was and just how it links to the girls’ stories. I don’t want to give too much away, as this is definitely a book to go into knowing no more than you’re told at the outset. Suffice to say, though I wanted to know more about the background of the institute and would have liked to see what happened afterwards, this was a clever read that only revealed itself to be so as you draw near the end of the experience. Personally, I’m looking forward to seeing what students I teach make of this – and I’m curious to know whether reading a physical copy of this so you can flick between the stories makes any difference to the experience. If our memories shape us, what do those people who have lost the ability to make memories do? The artwork on the cover hints at the idea that memory can be fractured, and we rely on all the pieces coming together to create a whole. Due for release in early January 2017, I was excited to receive an ARC of this novel from NetGalley – and having finished my read I really hope the rest of 2017 is as good! Our narrator, Flora, is what could be deemed an unreliable narrator, though this is because she has lost the ability to create short-term memories after an incident that occurred when she was ten years old. Flora is quite childlike, which may be because her retained memories come from before this age. Living with her parents in Penzance, Flora seems to accept that she will never leave her family home and that everyone knows who she is even though she can’t remember them. 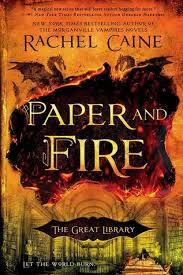 When I first started reading I found the style of the book quite abrupt. It gave the merest hint of what Flora’s daily life would be like, and it was more than a little disconcerting. There were a few things that niggled me as I was reading – namely, the idea that Drake’s kiss was the one thing that Flora could remember – but things all made a lot more sense as I neared the conclusion of her story. 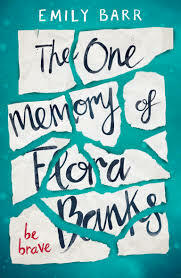 As I read the novel, I was struck by the strength of character that Flora shows. I will certainly take from this read the idea that we all need, no matter our age, to give time to think about ourselves and what is important to us. A huge thank you to the publishers, Philomel books, and NetGalley for allowing me to read this before publication. In the world of the Great Library knowledge is valued, but it corrupts many of those who are privy to this knowledge. The second in the series shows Jess and Glain completing their training, but their determination to ask questions about Thomas – presumed dead in the last book – causes untold trouble. There’s little in the way of recap here, but I quickly picked up the key details in spite of it being some time since I read book one. We’re thrown into the action very quickly, and there’s a real sense of menace to this. It was good to see the main characters from the first book together here. Throughout, I had a sense that there was something going on with Wolfe and Santi – but it wasn’t quite as I expected. Caine throws a lot of awful things at these characters as they struggle to find their way against the Library and those in control. I’m only pleased that they managed to retain their sense of self throughout – and not get too badly punished (though it came close on more than one occasion). I think the inclusion of the extracts of contact between those in control is fascinating. It’s a great way to make us see just what Jess and those who sympathise with him are up against. An explosive ending, and it really looks like the third part in the series will be one to look out for.